Angle Encoders Linear Encoders Contouring Controls Position Displays Length Gauges Rotary Encoders HEIDENHAIN CORPORATION, 333 East State Parkway, Schaumburg, IL 60173 847-490-1191 www.heidenhain.us TNC 640 Ð High-End Control for Milling and Turning Operations For the first time, milling and turning are combined in one TNC. 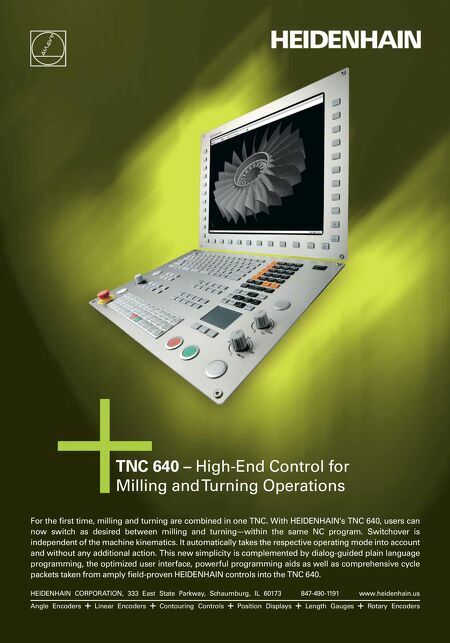 With HEIDENHAIN's TNC 640, users can now switch as desired between milling and turning—within the same NC program. Switchover is independent of the machine kinematics. It automatically takes the respective operating mode into account and without any additional action. 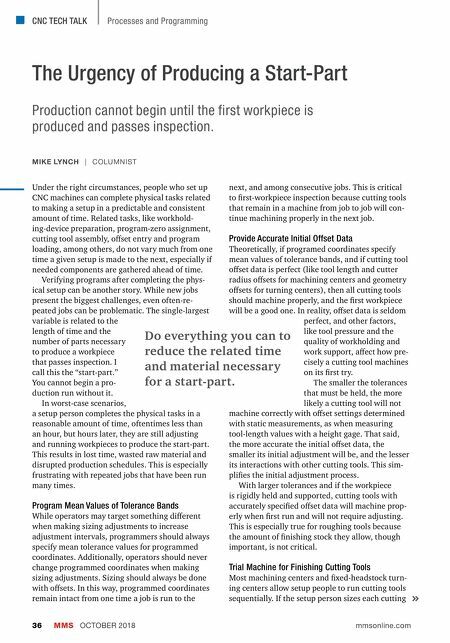 This new simplicity is complemented by dialog-guided plain language programming, the optimized user interface, powerful programming aids as well as comprehensive cycle packets taken from amply field-proven HEIDENHAIN controls into the TNC 640.